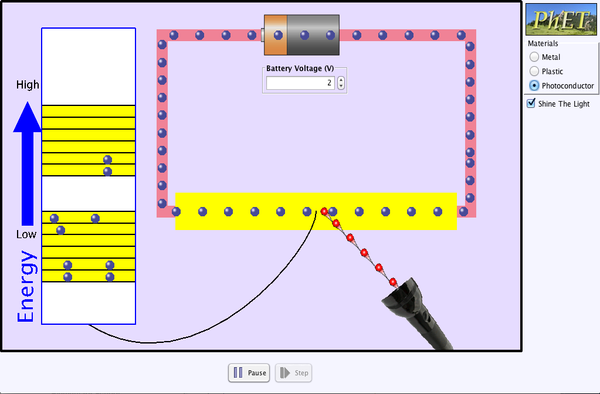 Experiment with conductivity in metals, plastics and photoconductors. See why metals conduct and plastics don't, and why some materials conduct only when you shine a flashlight on them. Identify the driving force in a circuit. Explain the difference in conducting behavior between metals, plastics, and photoconductors in terms of the difference in the structure of energy levels. Explain why shining light on a photoconductor causes it to conduct.